I don't know if you have tried shaker cards yet or not, but if you haven't - just be aware that they are a little bit addicting to create! 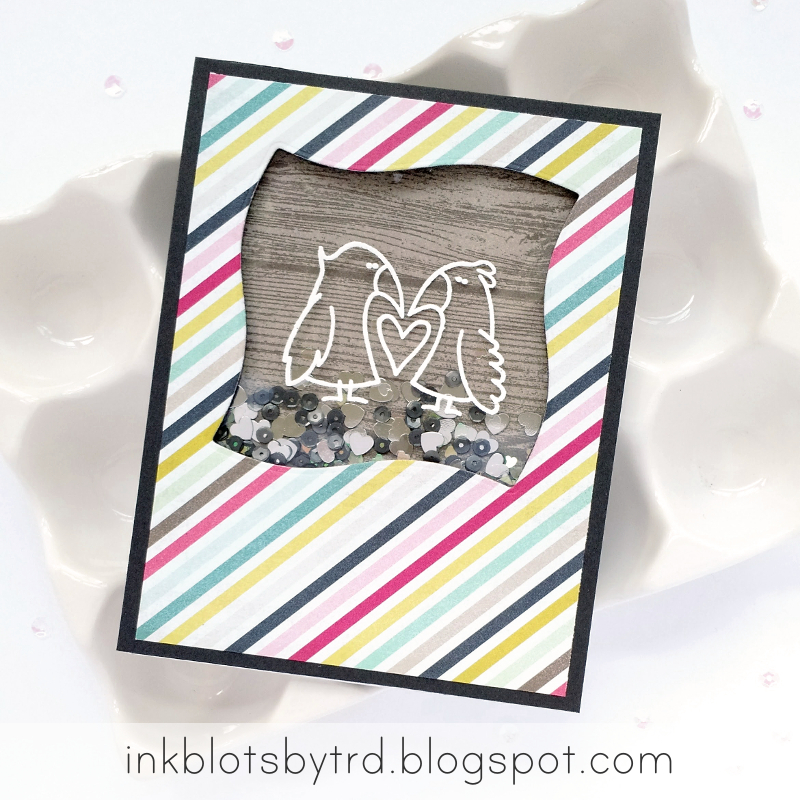 For today's card, I embossed this cute bird image from the new Flopsy Birds stamp set on the shaker window. (Perfect for the current SSS embossing challenge.) I kept it clean and simple, and I love how it turned out!